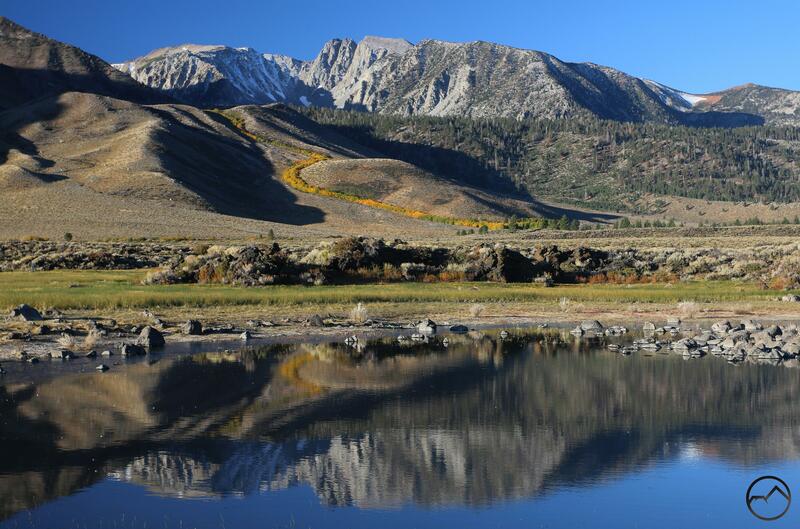 Fall color dramatically highlights a creek’s descent from the mountains near Mammoth Lakes. Last week I took my family for an annual fall getaway to Mammoth Lakes, in the Eastern Sierra. It is not my normal pattern to blog trip reports but this trip was filled with some exceptional scenes that demand an account. While these were singularly memorable sights, beauty of this soul-feeding nature can seem commonplace in the Sierra Nevada. Mount Shasta certainly shares this quality with California’s great mountain range but the vastness and glory of the Sierra is not something easily put out of mind. I’ll not do a play by play of the trip but I will hit a few of the highlights. These started early on, while driving down to Mammoth Lakes. We camped one night in the Northern Sierra since we left in the afternoon of the first day of the trip. This yielded one of the most colorful and memorable sunsets I have seen in a long time. Not only was the sunset incredible, but the fall color was already setting in at Little Last Chance Creek, which highlighted the fascinating cliffs that line the creek. It augured well for the rest of the trip. The next day we continued south, stopping in Virginia City so my train-obsessed 2.5 year old could ride the Virginia & Truckee. This was a major hit and primed our three kids for more fun. From there it was on to Mammoth Lakes and the glories of one of the great mountain regions of the West. 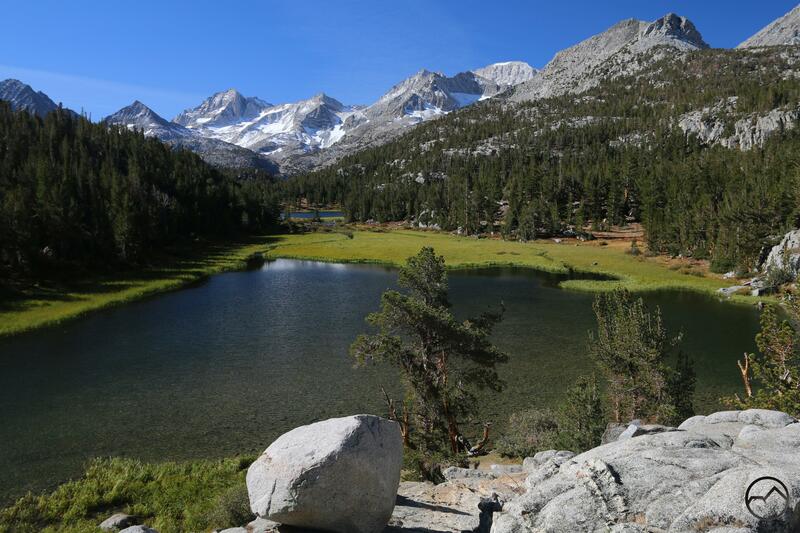 For those unacquainted with the region, the Eastern Sierra refers to the remote region that lies on the eastern side of California’s great mountain spine, the Eastern Sierra. The west side of the range consists of a long, gradual slope that climbs up to the crest of the range over the course of many dozens of miles. The east side, in contrast, consists of a sudden, sheer escarpment as the range falls away precipitously to the desert terrain of the Great Basin. This eastern escarpment presents a grand spectacle of rugged mountain beauty and is a paradise for hikers. The quick drop off means equally quick access to the staggering alpine beauty of the High Sierra. Consequently, you have a collision between rugged mountains and lush alpine settings with the stark landscapes of the Great Basin, the largest of America’s 4 major deserts. Typical of the meeting of mountains and deserts, aspens are found in abundance here. In short, it is paradise…especially in the fall. High Sierra glory at Marsh Lake. We try to expose our kids to a variety of sights and experiences. 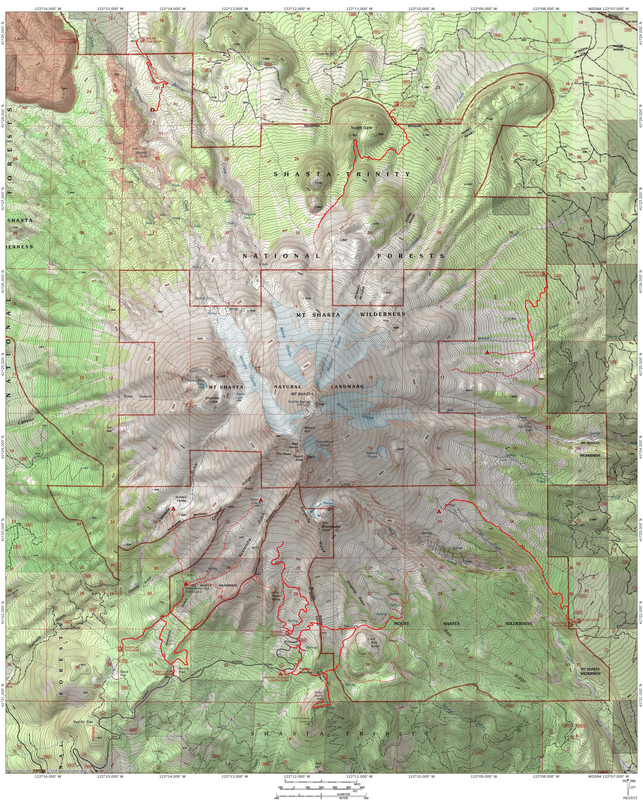 Given that their ages range from 8 to 2.5, we are not likely to survive longer hikes intact. This necessitates my wife and I putting in more work carrying the youngest or getting creative and finding more accessible places to take the kids. Fortunately, Mammoth Lakes area has an abundance of places that fit these parameters. 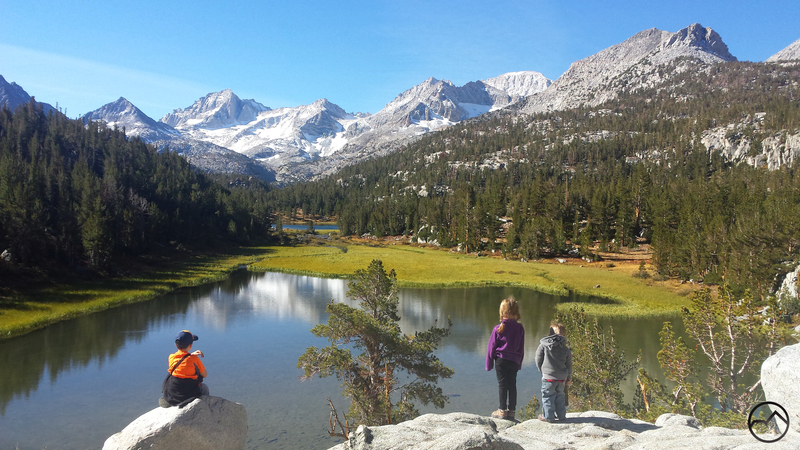 To give the kiddos a chance to enjoy the High Sierra, we took them on the hike through Little Lakes Valley. Though this trail is popular, it is very, very hard to find a hike that offers up more scenery for so little effort expended. It makes a terrific introduction to the High Sierra! Other activities included exploring some of the unique geologic features in the area. This year we headed to the geothermal activity along Hot Creek and the mysterious tufa formations at Mono Lake. Of course, the fall color was the reason we went and we were not disappointed. It is hard to predict when the leaves of the aspens, cottonwoods and birches will be at the peak of their color, so each year is different. This year was a bit of a mixed bag. Some areas were peaking while others were still green. No matter where in the process we caught the trees, it was remarkably beautiful! Sunrise on the Ritter Range. As beautiful as the autumn color was, it was not the most memorable thing we witnessed. On our last day in Mammoth Lakes, my oldest son and I (both early risers) went up to the Minarets Vista to watch the sunrise. 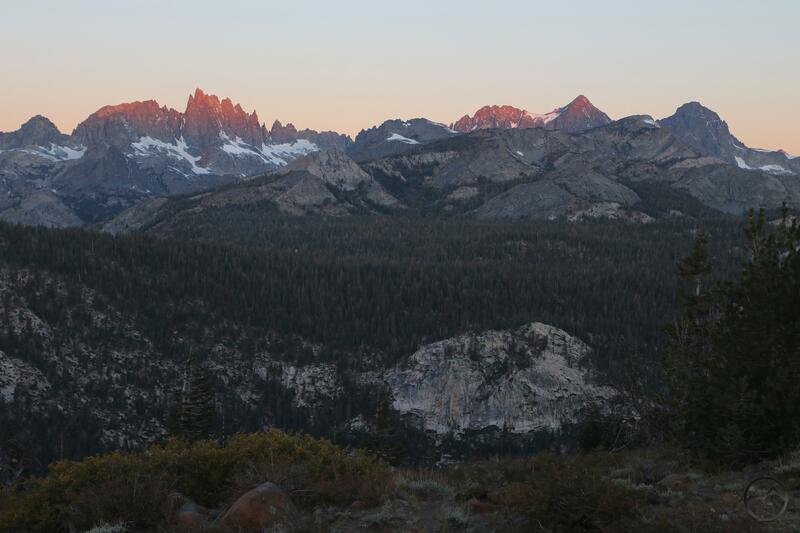 The Minarets are a collection of spectacular, needle-like spires that line the Sierra crest immediately south of Mount Ritter and Banner Peak, the twin crowns of the awesome Ritter Range. These are some of the most rugged and superb mountains in the entire Sierra Nevada. The rising sun put on a good show, casting its pink and orange light on the mighty towers. We went on with our day, enjoying the last of our time there. That evening, the plan was to take our kids up the vista and have a picnic dinner with an incredible view. When we arrived, we were treated to one of the most breath-taking sunsets we have ever seen. Suffice to say, our dinner was a memorable one, one which I spent behind my camera in the frigid, relentless wind. It was well worth it. On the way home, we stopped at South Lake Tahoe, where we had a picnic lunch on the shore of the exceedingly full lake. We then proceeded to Emerald Bay and let the kids climb on the rocks at Eagle Falls. It was a wonderful way to end the trip, before driving the final few hours back up to Mount Shasta. I am deeply grateful to be able to give my kids the opportunity to make memories in places like this! If you are interested in exploring these incredible places, be sure to pick up a copy of my latest book. It is a great primer on all that this part of California has to offer! Those Ritter Range sunset images are pretty amazing, Bubba! Thanks Jackson! It was easily one of my top two or three sunsets I have seen. I wish I could get the images to show up without the pixelation! We were debating the Sierras for Fall colors versus Nevada’s Ruby Mountains for old times sake. The Ruby’s won this year but your photos remind us of what we missed in the Sierras. So next Fall it’ll be the Sierras! The Rubys are definitely no slouch! The last time I went through them was in the fall of 2014 and caught them with tons of color. In my mind though, nothing beats the eastern Sierra. It is transcendent. I hope you do end up going back there next year! Great to get the kids out there. Memories that will last a lifetime and shape their perspective on what’s important in this world! Thanks for sharing it. Very cool. I love this part of the state, especially in the fall. Did you see the old mining town near the lakes? Head to any hot springs? Travertine outside of Bridgeport is a real highlight. Your color spectrum is framing is sublime, Sir. Big Kudos. Detected quaking aspen in full yellow. I was hoping for a Northern Paiute and Washoe summer this month (with the traditional village rabbit gathering), but with snow on Whitney in September I expect a beautiful blanket of pow sometime in the month. Would nix my long planned, motorcycle ultra-lite, bird watching, photography trip. THAT would bum me out. Enough about me fer gods sake. Your books I’ve only glanced through. Looking forward to finding what treasures await. New fan/follower on FB and spreading the word. Best regards, Lupo. Breathtaking photos! I’ve only been hiking in the Sierra Nevadas once, it was during the fall also, and your blog is a reminder why I need to go back. We explored the Hilton Lakes and there was literally not another soul in sight for days! I wish I had exposed my kids to more hiking when they were young. It’s such a great family activity and inspires a love of being outdoors and exploring! That’s a side of California I’ve yet to see but long to. Especially after admiring the view from your photos. What a remarkable place and a spectacular set of experiences for your kids! I can only imagine the incredible impact it will have on them as they grow.